Welcome to another edition of My Friends and I, the section of Casta La Vista where I briefly review a bunch of films I’ve watched as part of my fortnightly film group that I facilitate at QUAD cinema and gallery in Derby. Coming out of The Way Back I couldn’t help but feel that I had just watched a film that should have been a lot better than it actually was. On paper it has the makings of an epic masterpiece; strong cast, a proven director in Peter Weir, a harrowing ‘based on true events’ story and an exceptionally long running time. But perhaps the mistake made with The Way Back is that it feels as if it has been made under the assumption by everyone involved that they were making something amazing. I wonder whether or not much of the fault in the film lies in the fact that many of the performances, structure and cinematography come across as if they were phoned in and taken for granted. The film is not without merit. There are several moments of levity (surprising given the traumatic concept of the film; a gang of Prisoners of War escape from a mountain camp and travel through desolate landscapes towards safety) and it is commendable that the escape occurs quite early on so as to move onto the meat and potatoes quickly. 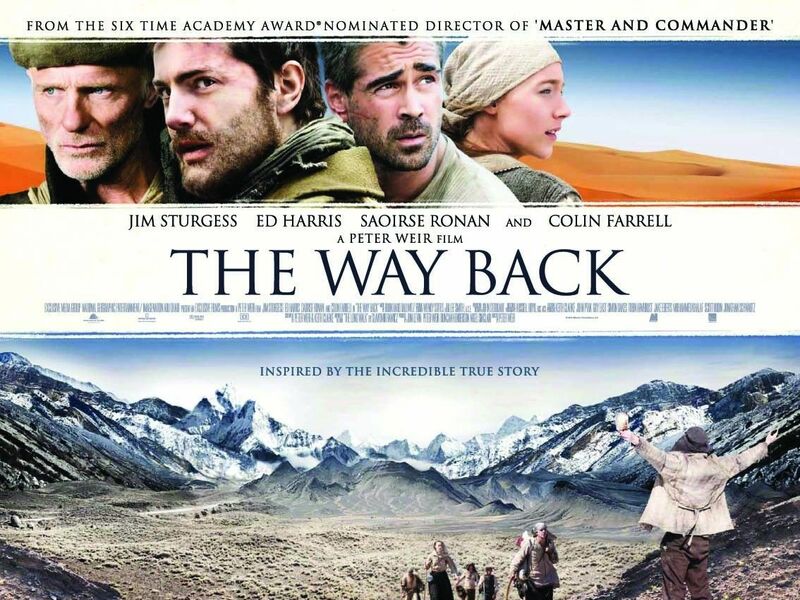 However at the end of the day as a piece of drama the film suffers for three main reasons; the lack of a chasing pack bearing down on our escapees, a distinct absence of inner turmoil within the group of travellers, and Colin Farrell’s accent. Been there done that. Check out Chris and my thoughts on this bona-fide awards magnet here. 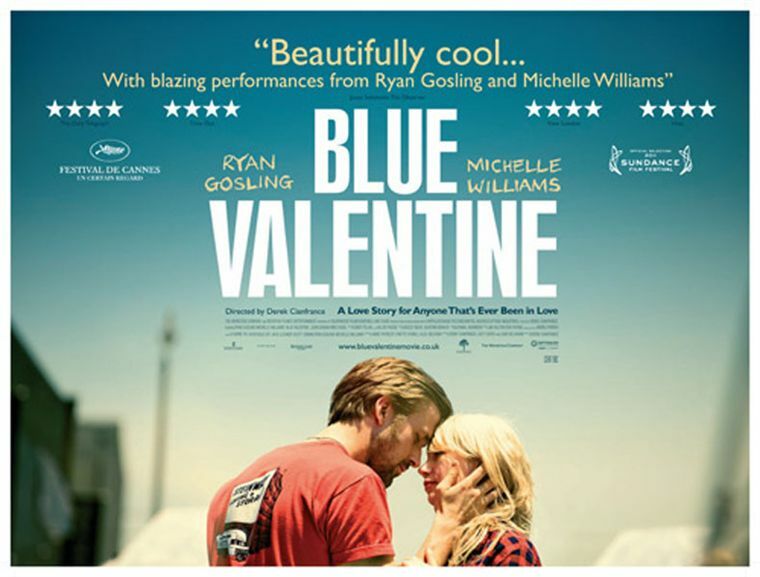 As much as possible I try to limit the amount of words I write in these posts but in Blue Valentine I have found a film that I could probably wax lyrical on for days. So in the simplest terms possible… see this movie. It is, to me at least, essential viewing. The film showcases the beginning and end of a seven year relationship between Dean and Cindy, played expertly by Ryan Gosling and Michelle Williams. Whilst in a sense the story lends itself towards being perceived as emotional, depressing and overly sentimental, the real triumph of Derek Cianfrance’s film is just how joyfully optimistic and entertaining it is. Not enough praise can be given to Gosling and Williams. That one is Oscar nominated (Williams) and the other is not (Gosling) is a gross injustice and proof that the Academy has failed to recognise that the power of each performance comes from its reliance on the other. If ever there were a case for the Academy to follow in the footsteps of MTV and hand out an award for best on-screen couple, this surely is it. The film is laced with drama and moments of hyper-real tension- I challenge all viewers who have been in long term relationships not to find at least one exchange between Dean and Cindy reminiscent of an experience of their own. However the way the story is conveyed by shifting time and lacing a fresh faced enthusiasm for love at first sight over a weathered depiction of the death of romance allows for some unbelievable developments of character and a fantastically paced journey that ends in a manner that whilst admittedly soul-destroying is at the same time ever so slightly optimistic. Done and done. Thanks for reading. Hello everybody! Through my work at QUAD cinema and art gallery in Derby I lead a fortnightly film group that encourages members to watch films that might not already be on their radar. Since we’ve been running we’ve seen a few classics (Singing In the Rain! Inception! ), a few safer options (Whatever Works) and a few duds (Tamara Drewe – not covered due to its mundanity!) but each one has given us something to talk about and seeing as that is the point of the group in the first place, it’s all good! Here’s a quick summary of the three latest films we’ve watched as a group, just to keep you glorious readers up to date! The thing i like the most about My Afternoons with Margueritte is that it isn’t particularly good. Stay with me. I think there is a tendency in this country (and perhaps elsewhere) to label everything the French put out as bona-fide classics with amazing art direction, subtext and grandiose resonance; My Afternoons with Margueritte has none of these things. The film is a simple love story set in an idyllic community between a local man, Germain, played by Gerard Depardieu (HE ate all the pies!) and an old woman, Margueritte (2 T’s), who come together over a love of learning, life and pigeons. As Margueritte teaches Germain to read on a park bench her influence on him spills into his relationships with others and he grows in stature and confidence within the community. Margueritte is one of those happy-go-lucky films that people might reject for being too rose tinted- but it has enough laughs and idiosyncrasies to keep my attention and the truth is I could have stayed with these characters for hours more once the credits rolled. The film feels charming and real- were it in English and starring Judi Dench everyone would be talking about it! We saw Peeping Tom as part of the ID Fest programme at QUAD celebrating English identity in film. Well, talk about a sense of identity! Peeping Tom is revered as one of the most important also-rans in English cinema. In 1960 Michael Powell’s Peeping Tom lost out in the notoriety stakes to Alfred Hitchcock’s Psycho and was critically panned for decades. The film practically destroyed Powell’s reputation and was one of his last features. However over time Peeping Tom’s reputation has grown and it is now regarded as a classic that lay the way for the serial-killer horrors that followed in its wake. I like to think that were it not for Peeping Tom shocking audiences with its sympathetic portrayal of serial killer Mark Lewis (an ‘Englishman’ played by a German in 1960- SUBTEXT!!!) then Psycho might not have been half as successful when it was released a few months later. As a film Peeping Tom has certainly dated, as much in the performances and staging as anything else. Yet there is still a sense of unease and unflinching lust in the relationship between Mark and Vivian (Moira Shearer) that means the film still succeeds in making its audience uncomfortable, which after all is exactly what the filmmakers wanted to do in the first place. A rightful classic that might not be for everybody. I wrote a review of Somewhere as part of our 12 Days of Castmas extravaganza and those words can be found here. Since writing that review my opinion on the film has not waned, in fact if anything it has cemented. Sofia Coppola’s take on Hollywood has infiltrated my mind and I still think of it regularly and become more impressed with its method. The response has been mixed at best (and that is fine) and if anything I love it more for the effect it is having on audiences, but more importantly I can’t wait to check it out again when the next opportunity arises so I can spend more time with Johnny Marco doing absolutely NOTHING! Bang up to date! See you for part 6 in a few weeks! Regular visitors to Casta La Vista-land will know about my work at a Derbyshire cinema where I sporadically coordinate film festivals and produce podcasts. I also run a fortnightly film group that meets on Sundays, watches films (duh!) and then sits around afterwards for a bit of a chin wag. It’s a book club but without using paper, so technically it’s environmentally friendlier. I was a bit nervous about watching Made in Dagenham because it came hot on the heels of Tamara Drewe, a British film which I found ultimately disappointing and that Chris and I talked about here [about 30 minutes in]. 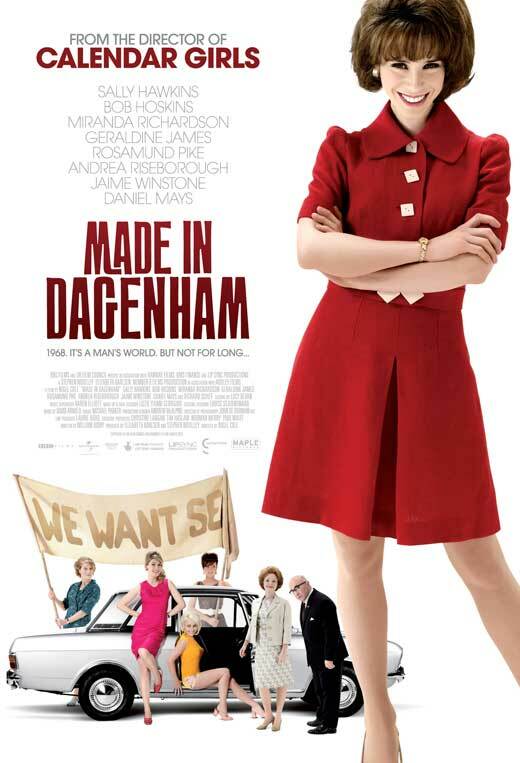 Seeing as both films are unashamedly British I was worried that Made In Dagenham might suffer the same problems as Drewe; an over dependence on sight gags and imagery and a lack of substance and character. I was pleasantly surprised therefore to watch a film that, whilst flawed in places, is nevertheless an enjoyable watch with well rounded characters, a good sense of narrative, and an engaging premise. The film is loosely based (in the sense that it takes the truth, tightens it up and throws in some personal character development, drama and a cohesive arc) on the equal pay protests by a group of women at the Ford Plant in Dagenham in the late 60’s. Sally Hawkins is a rising talent in British cinema and her performance as Rita, the leader of the revolution, cements her growing reputation. It will be a genuine shame if she is lured over to America as we should try our best to keep hold of versatile performers like her. The film doesn’t outstay its welcome, unlike Tamara Drewe, and despite its UK surroundings does well to apply healthy doses of empathy and dramatic incident to keep more conventional cinema-goers entertained, which is something other British filmmakers often forget to do in their quest to be un-American- forgetting that Hollywood doesn’t own the rights to conventional storytelling. In some respects the film suffers for having an ending that is a foregone conclusion, although as it is based on real events we can hardly knock it too much for that, and there are one or two supporting characters that seem forgotten about by the end of the film- Where does Bob Hoskins go? Why does Connie suddenly come back all smiles at the end? All in all this movie was ideal for a Sunday evening as it didn’t take itself too seriously and was full of enough recognisable faces that all turned in commendable performances. CM came to this one! The Arbor was a tough, yet ultimately rewarding watch. It might sound cliché to say it but it is genuinely hard to describe what type of film it is. The film is about the strained lives of Andrea Dunbar (a Yorkshire woman who rose to fame in the 80’s for her plays The Arbor and Rita, Sue and Bob Too before dying of a brain haemorrhage aged 29) and her daughter Lorraine; how their lives mirrored one another and the effect their decisions had on their families and neighbours. Half documentary and half-adaptation, the film lip syncs performances by actors to the actual voice recordings from the real people of the story. These scenes are separated with archive footage from old TV shows (particularly news footage and a BBC arena documentary on Dunbar) and interpretive performances of Dunbar’s first play, acted out in the middle of The Buttershaw estate, the real estate in Yorkshire where Dunbar lived and set her work. My initial impression of the film was how effectively all the storytelling techniques worked together; I doubt I have been as impressed by any movie this year as I was with the first half an hour of this. However eventually the emotion and the intensity of the fractured relationships takes over and you forget the stylistic elements of the film and become engrossed in its heart. I was struck by the fact that nothing actually happens in the movie; everything is accounted after-the-fact by the people involved. And yet you would be forgiven for reacting as if it were happening on screen in front of you, such is the emotional connection the audience has to the story. 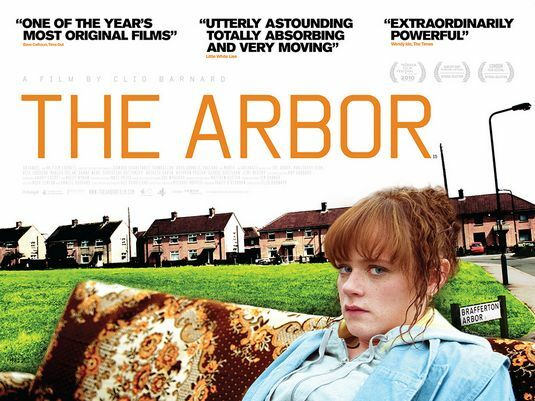 Destined for the 9pm slot on Channel 4, The Arbor is one to look out for if you haven’t already seen it; an emotional journey that allows us to make our own judgements instead of ramming an agenda down our throat. Filmmaker Mike Leigh is considered one of England’s national treasures. His films are always prefaced with quotes like “another instant classic” and “probably his best work to date”. I find praise like that hard to stomach because I think it can affect cinema-goers in one of two ways. It will either encourage people to agree with the sentiments of critics without deciding for themselves what they really think or force them try to pick holes in the films if they don’t like feeling they’re being told what to think. 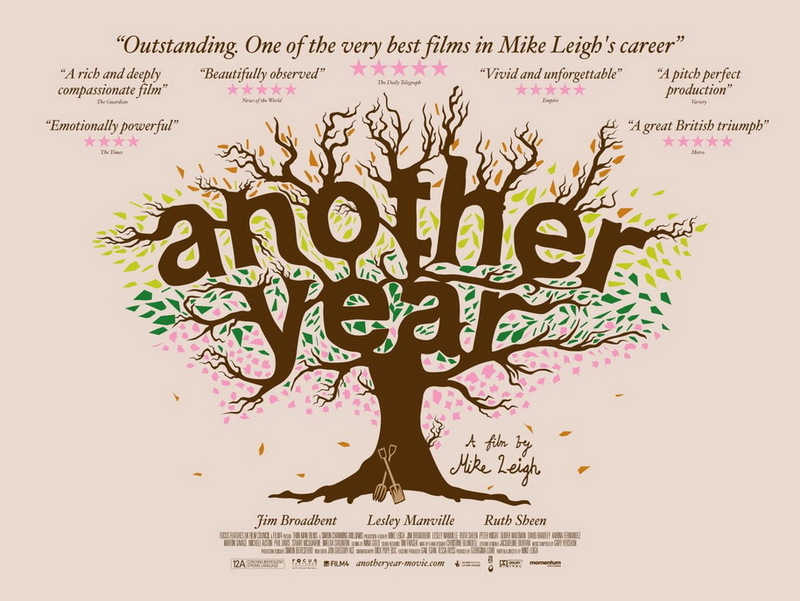 In my opinion Another Year was brilliant, but less as a film and more as a slice of life, which in essence is what the film is really all about. It uses the seasons to show glimpses of the lives of several people that interact with Gerri and Tom (Ruth Sheen and Jim Broadbent) and gravitate around their homes, particularly one overbearing friend named Mary, played by Lesley Manville. Telling stories through seasons can be problematic because each section should not necessarily be as long as the others- we are inherently bound to get restless the longer each one goes on so in essence the final section should always be shorter than the first. I certainly wasn’t bored by this style in Another Year, although Leigh does let the movie take its time, showing full conversations between people rather than the more typical technique of giving us snippets. It is this decision that lends to the realism of Another Year, which is at once its greatest asset and heaviest burden. Some people will be captivated by the lives on show in the film because they feel real and not performed. Others will find the lack of incident and narrative drive discomforting and boring. I certainly fall onto the side of the former; I was engrossed and enchanted. I felt part of a community and found drama and tension through the intricacies of the relationships on show. Two criticisms; Gerri (in particular) and Tom do have an air of smugness about them, although I feel this is justified given the chaos brought by the many characters who visit them in the safety of their own home; and despite all the praise laid at Lesley Manville’s feet for her turn as fragile-friend Mary I found that hers was the most jarring, unrealistic and caricatured performance of the film as it really didn’t make sense why these people would continue to hang out with her. But maybe that’s like life…eh Chris? Right, there’s another 3 out of the way. If you seen any of those films above let me know in the comments section below, and if you haven’t then I recommend you check them all out (not a bad film on show in this edition). I’ll write up more of these once we’ve seen another 3 films and until then thanks as always to QUAD for the tickets and to you lot for reading. Here we are once again with another round up of the films I have been watching as part of the Cinefriends group I run at Derby QUAD. It’s a bit of a shame that I am left to review this film on my own because this is one that Chris M saw too and we talked for ages about trying to put a review together and never got round to it- how unlike us! I cannot recommend highly enough that people check out The Illusionist when it appears on TV and DVD soon. It is absolutely beautiful both visually and emotionally and is proof if ever if it were needed that animated films are not just for kids. In fact, if you’re the sort of person who usually shuns animated films for the aforementioned reason, then you should make doubly sure you see this film to be put firmly in your place (you know who you are)! The thing about The Illusionist is that at first I wasn’t that impressed with it. It was decent enough in the opening 20 minutes or so; stuff happens, the Illusionist travels from Paris to Scotland, a few tricks here and there, a few relationships built, and some great sight gags. But then suddenly everything slows down as our protagonist finds himself stuck in Edinburgh and selling out to make a quick buck. At the time I was starting to get a bit bored- I’d go as far as to say I was bored-erline disliking the experience (HA!). But then as the film closed and I realised how completely depressed and affected I had been by the film, particularly its final scenes, it hit me that the impact the film had on me was in line with that of the characters and the theme of the picture. The Illusionist is a story about the death of vaudeville, about Rock and Roll storming on stage and stealing the limelight. It is about this great tradition of magic and performance that once had high energy and sell out crowds suddenly having the wind taken out of its sails and drifting to a halt as performers struggle to acclimatise with a fast paced, ever-changing society. To find myself feeling as lost and alone as the main character is at the end of the picture, yet so full of hope that there is still something out there for him, is a testament to the quality of filmmaking on show here. The Illusionist makes every moment of the 7 year wait for Sylvain Chomet’s follow up to The Triplets of Belleville worth it. There’s so much more to say about this film, particularly about its visuals. In fact, I’ll leave it here and let Chris M talk about them in the comments section. Whatever he says, he’s 100% right. What more is there to say? Done and done in our episode review which can be found HERE (about 22 minutes in) Inception is a film that just gets better every time I see it. Fourth time around, and a couple of months since its initial release, the impact of the adventures of Leo and the gang were just as breathtaking and enticing. The joy of Inception lies in its simplicity. It really is just your typical heist flick come crime thriller (in fact were the story more complicated I think the effect of the visuals would lessen as audiences would spend too much time getting caught up in plot points as opposed to lapping up the scale and ambition) yet the beauty of the film comes in every inch of frame that Christopher Nolan puts on screen. Top performances, top effects, top music, top writing, top banana. Can’t wait for it to come out on DVD- and I never buy DVDs! Meeting 9 and our first out and out classic, a golden oldie that we’ll have all seen a dozen times before is finally back up on the big screen. Singing in the Rain is the sort of film that I used to hate as a kid. It was black and white, it was full of songs and everyone was looking happy and cheesy in it. I would turn it off when it came on TV. Now with hindsight and the loss of any shame I am free to watch films like this and appreciate them for what they really are; feel good movies that kill some time and put a smile on your face. My only problem with Singing in the Rain is that every dance sequence or song feels about 2 minutes too long. I don’t know if it’s egotism on the part of the filmmakers, or just that fact that they wanted to make sure audiences got their money’s worth, but if every musical sequence was trimmed by about 2 minutes I think the whole film would benefit. It always interests me too that “Make ‘em laugh” is regarded as one of THE classic dance numbers (its certainly an unforgettable performance by Donald O’Connor as Cosmo Brown) but it’s probably the most uncomfortable sequence of the movie- it feels shoehorned in and despite its titular resonance it isn’t really that funny. These are all minor quibbles though because hand on heart Singing in the Rain gave me a smile from ear to ear. Gene Kelly’s smile is just intoxicating, the jokes still work nearly 60 years on, Debbie Reynolds is gorgeous and the satire is still as biting as ever. And for all of that I think we can forgive it the liberal helping of sexism that underscores the whole picture! So there you are folks. Bang up to date with my entire goings on at Cinefriends. We’ve got a great roster of films coming up in the next few months including Made in Dagenham, Peeping Tom, Another Year and The Arbor, so if you live in the Derby area and fancy coming along just click HERE and get in touch. We meet every other Sunday and occasionally see stuff in the week too. I’ll post any thoughts on those films in a month or so and in the meantime let us know if you’ve seen any of the above and tell us what you thought of them. Thanks as always to QUAD for the tickets and thanks to you for reading. London River is a simple story of an unlikely couple as they struggle to find their son and daughter in the aftermath of the London bombings of July 7. Two strangers, a terrified and lost mother (Brenda Blethyn) and a frail and alone French Moroccan (Sotigui Kouyate) are thrust into one another’s business as they learn that their children were dating one another and may have been together on the morning of the attacks. As the story unravels, it becomes clear that their children had ties with the Muslim community and prejudices and fear begin to cloud people’s judgement. What a synopsis eh? I bet it makes you want to see the film. Well good, because you should do. It’s brilliant. London River manages to fully realise every element of the British psyche immediately after 7/7, and puts paid to the fact that it was all mostly for show and did nothing but make the situation much worse. The central performances of this film are unbelievable, and there is no way I will even attempt to suggest which is better because that would do a disservice to the other one. As with the best cinematic efforts, London River’s strength comes from what goes unsaid, from what is conveyed through mood and performance rather than rammed down an audience’s throat. Yes, perhaps the visual and coded meaning of the film is a little over the top (single mother, disconnected from her child and the big city, ignorant to other cultures and religions – LIVES ON AN ISLAND…whoops, too far!) but honestly it just doesn’t matter when the pacing is this good and the structure this elegant. The obligatory Wakeman criticism; there’s about ten minutes towards the end that the film just doesn’t need. It purposefully establishes one scenario before turning it on its head in a twist-stylee, but to be perfectly honest it’s pointless because the emotional intensity of the final revelation would’ve worked just as well without the misdirect. Final bit of advice. Film set in London. Established British actress. Got London in the title. 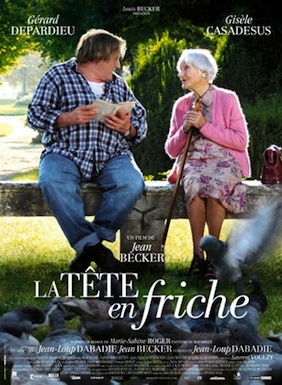 About 80% of the film is spoken in French and so subtitled. Not that it matters, I just wanted to prepare you. If you’re going to see an Argentinean film, you might as well see one that has won an Oscar. The Secret in Their Eyes won the Oscar for Best Foreign Language Film at this year’s awards and my first reaction to this was that it must be REALLY good to have beaten A Prophet. In my humble opinion I think Oscy got it wrong because in the simplest terms there is nothing about A Prophet that I would change, whereas The Secret in Their Eyes does have a few missteps. But nothing too major. Overall the movie is fantastic. Our hero is a retired Federal Justice Agent who is attempting to turn an open case from twenty years ago into a novel and by doing so hopes to exorcise a few internal demons of his own, including the one about the girl who got away. Told mostly through flashback, the film’s biggest triumph is that it keeps things moving along nicely, and is very rarely dull. The floating between two eras works as it adds layers to the dialogue and relationships of the characters, and helps keep the tension high for a case that might have lulled a bit in the middle were it told chronologically. Boxes can be ticked in the categories of Great Performances, Great Direction, Superb Score and Excellent Cinematography and the film can pride itself on being not only thrilling and dramatic, but also emotional and in many places hilarious. Ricardo Darin’s relationship with his co-worker, a charming alcoholic, generates some of the most entertaining moments of the film. As a whole The Secret in Their Eyes feels a lot like a book adaptation might do, with twists and turns throughout and very episodic sequences. Perhaps one of the films downfalls is that at times it is a bit generic; here is the obligatory chase sequence; here is the moment of melancholy; let’s slow things down for a nice chat. I suppose the counter argument then is that these moments, whilst familiar, are handled so much better in this film than in others, but all the same, they’re still there. My main criticism however concerns one of the main rules of storytelling; that being that the filmmaker should always be about two minutes ahead of the viewer. If things are too confusing, an audience gets restless. If things are too obvious, we feel pandered to. The ‘reveal’ of The Secret in Their Eyes is so glaringly obvious from about twenty minutes into the film (based on one line of dialogue too I might add) that its unveiling as a twist is frankly insulting. Maybe I’ve seen too many thrillers and know the conventions. Maybe the end will surprise other viewers. For me, I could see it a mile off, and the fact that, much like in London River, it spent ten minutes going down another route before coming back to the obvious conclusion served as a huge waste of my time and made the film seem suddenly much slower. I know it sounds like a big criticism, and in some ways it is, however I would still urge people to check the film out, because the rest of it is top drawer. Not quite A Prophet, but certainly worth a watch. And with that, we are bang up to date. Thanks for reading. I’ll post another piece like this in about a month or so (the group meets every two weeks and I’ll do these updates in threes) and in the meantime make sure to keep those eyes of yours peeled for all the movies reviewed above and as usual let us know what you thought of them! Whilst Casta La Vista takes another one its famous unscheduled breaks (this time it’s my fault) the better Chris and I thought it would be a good idea to keep you, our most devoted of listeners, updated with the things that are going on in our lives vis-a-vis the world of the movie. This time around it’s my turn, and so I thought it might be quaint to give you a few quick written efforts on movies I have seen recently that probably won’t get a shout on the pod (and a few that have as well). Regular listeners will know that during this year I have built a good relationship with an art house cinema/ gallery in Derby called QUAD; part of my current work there involves me leading a fortnightly movie club named Cinefriends which is designed to encourage people who regularly go to the cinema to hang out for a bit afterwards, talk about the movie and get to know one another a bit better. It’s a social group, aimed at people who want to see a variety of films and meet people at the same time. The group itself is thriving, and if I do say so myself I make an awesome host! Every couple of months I’ll post up one of these editions to let you know the flicks I’ve been seeing as part of the group, and what my thoughts have been on each one too. This was a really heavy flick to start off a group like this with – however the other option for Meeting one was The Killer Inside Me (Episode 18 – about twelve minutes in) so maybe it could’ve been worse? Set during the Lebanese war of the early 19-hmmm-ner-herr’s the film is based almost entirely inside a tank, as a group of four soldiers make their way through a city under the increasingly confused instruction of their battalion leader outside. As war movies go, this is a must see, up there with The Hurt Locker and Waltz with Bashir. Much like in Kathryn Bigelow’s effort the key to its success is the focus on the characters and not the war itself; the realisation that individual soldiers can be confused, scared, powerless and vulnerable. Added to this, by placing all of the action inside such a confined and dirty space, showing the outside world only from the perspective of the periscope, we get a completely isolated view on war. Potential threat is only ever as far away as the edges of the crosshairs, and the clunky mechanics of the turret add to the tension as it scans the tank’s vicinity. 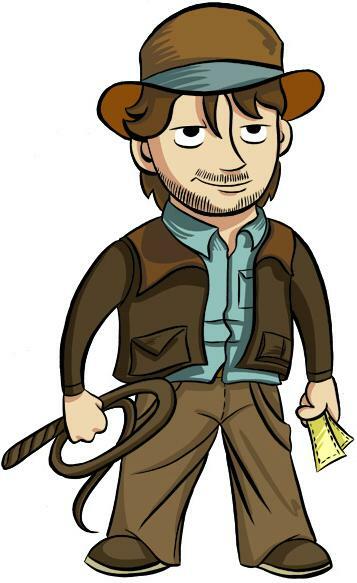 Ironically my biggest criticism of the film would have to be that the characters do have a tendency to fall into stereotype and caricature – the nervous one; the flawed leader; the new guy; the brash rule breaker – and the film is definitely at its best when the story allows these characters to buck from those traditions. All in all though Lebanon is well acted, well made (no expense spared on production value – despite its minimalist internal setting the action through the crosshairs looks amazing) and definitely moving. It’s also bloody violent, so don’t say I didn’t warn you! The first of these meetings that I coincided with a Subjected. Check out mine and Chris’ thoughts here (thirty two minutes in). Why do they all have to be fifteen minutes too long? I believe that a good documentary requires one thing; an interesting topic. A GREAT documentary requires two things; an interesting topic and someone who can tell you about that topic in an entertaining way. An AMAZING documentary requires those two things PLUS some sort of conflict/ debate; something that provokes and allows we, the viewer, to generate an opinion. Good Hair falls into the category of a GREAT documentary. Chris Rock takes us on a journey through the African-American hair industry, from styling conventions to Harlem salons, via Indian weave manufacturers and pharmaceutical laboratories. Whilst definitely niche, Good Hair worked for me because it was focused on a topic I knew very little about, and was unlikely to learn about from anywhere else. The added bonus is that Chris Rock is a very charming man, and his manner throughout the film is inquisitive and naive, reflective of how the audience should be at each point. This is a technique made more famous by the likes of Michael Moore, however Rock is able to pull it off without looking obnoxious. Likewise, the obviously staged and scripted elements of the film do not rub half as much as in a Moore film, because Good Hair does not try as hard to suggest that they are genuine. Good Hair succeeds because it is a light-hearted representation of a culture from a perspective foreign to most audiences. My group responded well to the film as they came out feeling they had learnt something they otherwise wouldn’t have known. And as far as subject matters go, the hair industry is probably one that doesn’t need to be addressed in an overly dramatic way. That said there is still the issue of why Good Hair misses out on being an AMAZING documentary. Despite the general light-hearted tone, at several points the story strays towards more complex issues to do with race, identity, the economy, and celebrity culture. At these points you can almost feel the filmmakers putting the brakes on and returning to less provocative concerns. This is a shame, because the topic of Good Hair is clearly connected to a larger conversation about American society and politics. Perhaps for the film itself it is better that it avoids these subjects so to not change the tone of the film completely, but for this audience member’s money…I wanted more. Oh, and it feels about fifteen minutes too long. I can’t remember the last time I watched a documentary and didn’t think that same thing. They have a tendency to ramble on. But then again, so do I. So there you have it. 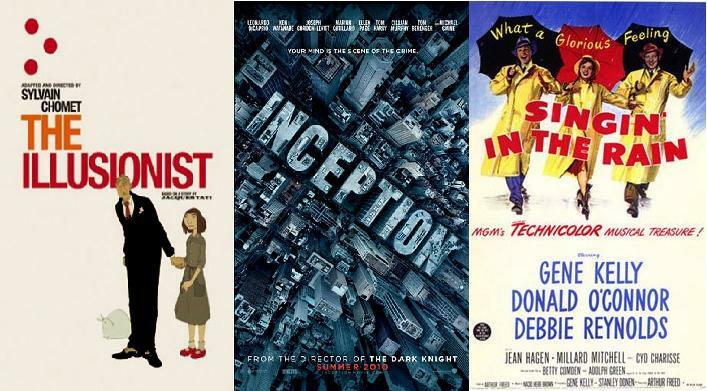 The first three films I’ve seen through Cinefriends and my opinions therein. Thanks for reading this far if you’ve made it to the end. I salute your tenacity and officially owe you a high-5. Thanks too to Derby QUAD for letting me get involved with the group in the first place and sorting me out with tickets for each screening! I’ll try to update with posts like this a bit more frequently (the second one should come next week! ), but in the meantime make sure to keep an eye out for all these films (some may be hitting the DVD shelves soon) and let us know via the usual contact details if you agree or disagree with anything written above. You are currently browsing the archives for the My friends and I category.